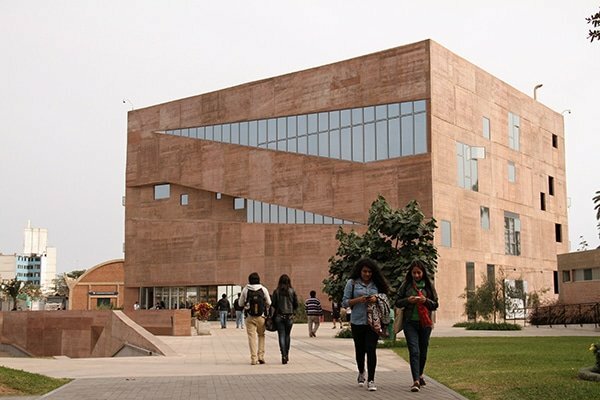 The University of the Americas Puebla, also known as UDLAP, is a university located in Puebla, Mexico. This article will tell you more about everything you need to know if you plan to study at UDLAP in Puebla. UDLAP was ranked Latin America’s best private and single campus university, so quite prestigious! As an exchange student you don’t have to feel alone: almost 14% of the students are international! The university UDLAP is mainly recognized for its studies in Arts and Humanities, Social sciences, Science and Engineering, and Business and Economics. Although UDLAPs prestigious allure, they rank between 801 and 1000 according to the QS World University Ranking. The prestigious image partly comes from the fact that UDLAP is a private university. Going on an exchange program might be very costly, but if your university has a partnership with UDLAP then you only have to pay the tuition at your home university. The university ranks high on internationalization, culture and employability. Their internationalization is shown in the more than 50 countries that are represented at UDLAP! The high recognition of the quality of the university has led to more than 90% of the students getting a job offer within 6 months after they’ve graduated. Also students are very enthusiastic about this university: 93% of them would rate their experience in studying at UDLAP as satisfactory. The university is located at quite some distance from the city center of Puebla. It is located in the town Cholula. The campus contains 38 buildings over which the seven different school departments are divided. These are the School of Social Sciences, School of Arts and Humanities, School of Engineering, Science School, Business and Economics School, School of Graduate Studies and Research, Department of International Affairs. The campus of UDLAP is often compared to campuses from the US due to its completeness with all the facilities you need. And since is not located in a city center, it offers the full campus life. Since UDLAP offers this full campus experience, it is not a surprise that they offer a variety of facilities. At the campus, UDLAP offers different sports facilities, such as American Football, Soccer (both indoor and outdoor), Tennis, Swimming, Volleyball, Baseball, Softball, Track and field, Tae Kwan Do and Rugby. These are not just facilities they offer, but students are competing against other teams in every sport listed above. The American Football team even won the national league multiple times! Not only sports are facilitated at the campus, also academic and cultural events. UDLAP organizes the UDLAP Nobel Conference every six months. During this event, Nobel prize winners are invited to talk about their work and experience. There are also concerts, exhibitions and museums provided by UDLAP. As an international student, this offers you the option to explore Puebla and Mexico on a more cultural level! UDLAP is well known in Europe due to its high amount of partnerships with European universities. If you decide to do an exchange program at UDLAP, you have a broad range of programs to choose from. On this link you can find an overview of what programs and courses the university has to offer. Due to UDLAPs experience with international students, they organize orientation sessions for all international students. This means that they help international students in Puebla to get to know the university UDLAP, and to take care of everything they need to fulfill their exchange program successfully. For example visa, student ID and signing up for the courses. UDLAP offers dormitories to live in during your stay in Puebla. The rooms offer options for individual rooms and shared rooms, where the individual rooms are relatively scarce. These are convenient options since they are located near the university. However, the university is not located close to the center of Puebla which means that you’ll be living just outside Puebla if you’re living in the dormitories offered by UDLAP. Also, the pricing varies from a shared room for 205 EUR, an individual room for 250 EUR and an individual room plus for 305. For Mexican standards you should be able to get something more affordable with more facilities in the heart of Puebla. Because we want to help you and other students to get an unforgettable experience in Mexico we pre-selected some student houses that are specifically designed for international students and we believe are perfect for you. These are selected based on their location, price and landlord. You can believe these will make your experience in Puebla awesome. Hi, all the time i used to check weblog posts here in the early hours in the daylight, as i like to gain knowledge of more and more. Helpful information. Lucky me I found your site unintentionally, and I’m shocked why this twist of fate didn’t happened earlier! to be on the web the easiest thing to be aware of. I say to you, I certainly get annoyed while people consider worries that they just do not know about. I’ve been browsing on-line greater than three hours as of late, yet I never discovered any attention-grabbing article like yours. I know this website provides quality dependent posts and other material, is there any other web page which offers these stuff in quality? authorization. Do you know any solutions to help reduce content from being stolen? For latest news you have to visit internet and on web I found this site as a finest web page for most up-to-date updates. What’s up it’s me, I am also visiting this website daily, this web site is actually good and the users are in fact sharing pleasant thoughts. you made running a blog glance easy. The entire look of your site is great, let alone the content material! recognise such particular about my trouble. You are amazing! I have read so many content about the blogger lovers except this post is actually a fastidious post, keep it up. What’s up friends, good post and fastidious urging commented here, I am truly enjoying by these. excellent submit, very informative. I’m wondering why the opposite specialists of this sector don’t realize this. Hello, its fastidious piece of writing about media print, we all understand media is a enormous source of information. of this webpage; this webpage contains awesome and actually excellent stuff designed for readers. for your submit is simply excellent and i could assume you are knowledgeable on this subject. Hence they choose PPI Claims, where they can claim and obtain their funds back. b) These plans enable you to buy estate taxes and other settlement amounts. as your home since the US economy skids into another recession. clean lines and it is suitable on the hue of your home. Some fibrous products are employed in building for thermal insulation or sound proofing and they are generally made out of fibreglass or ceramic. It’s interesting to know the details about UDLAP. How interesting it is to invite Nobel Prize Winners and they share their experiences with the audience. Thanks for sharing this informative article! article? I’d really love to be a part of group where I can get suggestions from other knowledgeable people that share the same interest. Pretty nice post. I simply stumbled upon your blog and wanted to say that I’ve really enjoyed browsing your weblog posts. out from Dallas Texas! Just wanted to mention keep up the fantastic job!